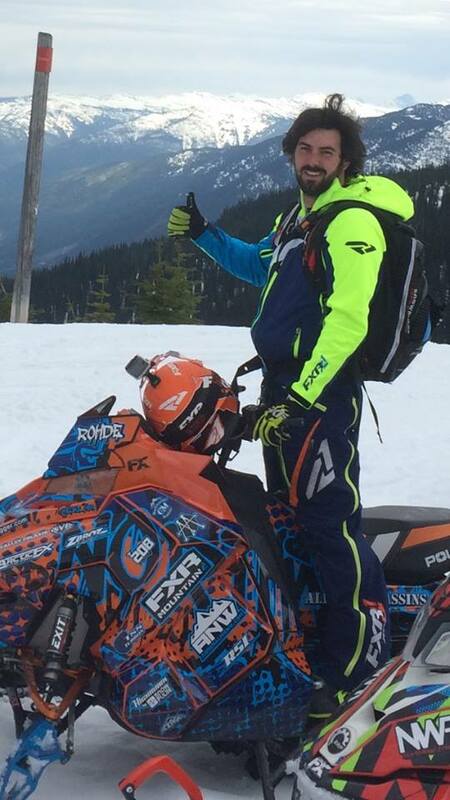 A semi-pro snowmobiler was killed in an avalanche near Mt. Baker, WA on Saturday. The avalanche was large (D3), occurred at an elevation of 5,400′ on Park Butte, was 200′ wide, average 4′ deep, and took the victim downhill 1,000′ where he was pushed through a gully and sparse trees. This was Washington State’s 7th avalanche fatality of the season and the USA’s 19th of the season. 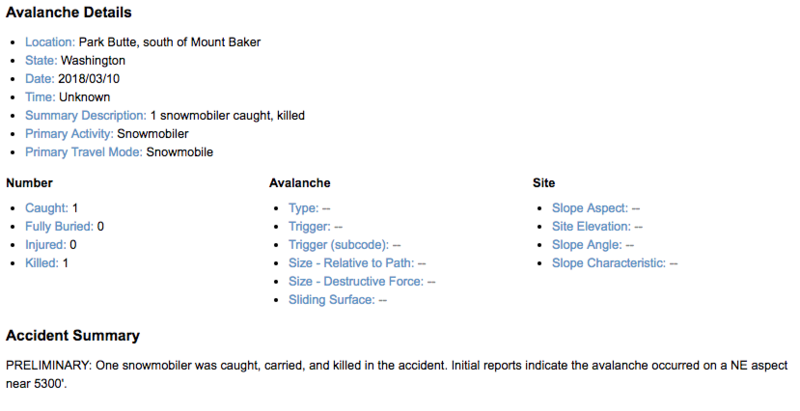 9 of the 19 avalanche deaths in the USA this winter have been snowmobilers. This was the 4th sports related fatality in the Mt. Baker Wilderness this winter. 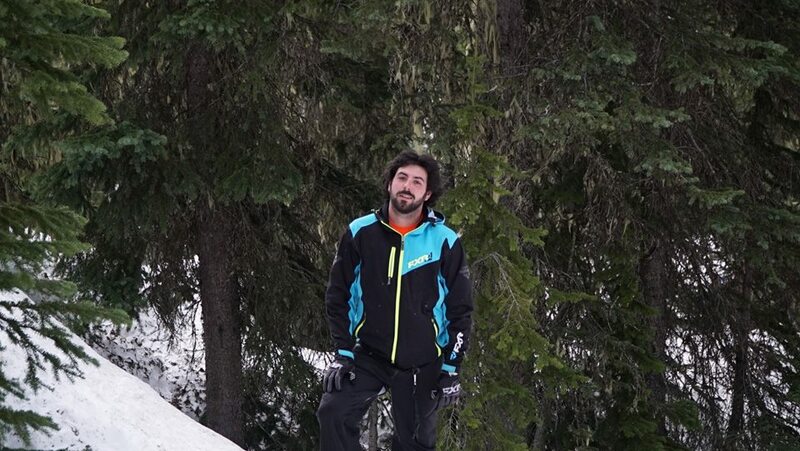 27-year-old Lucas K. Rohde from Edmond, WA is the man who died in an avalanche. Lucas triggered and was killed by the avalanche. Lucas was with other snowmobilers who came to his rescue, but they were unsuccessful in reviving him. This was the 19th avalanche death in the USA this winter. The USA averages 28 avalanche deaths per year. The USA only saw 12 avalanche deaths last winter. In additions to being a semi-pro snowmobiler, Lucas Rohde wrote about snowmobiling for Mountain Sledder magazine and appeared in the 2013 snowmobiling documentary “Counter Balance” which is available on iTunes.